A vintage photo of toys at a spring fair in Toyko in the 1970s. This print is in honor of my father. It's a good mantra for anyone. 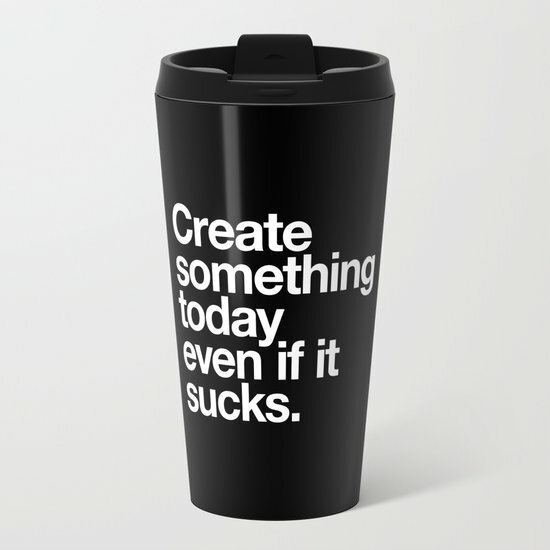 Purchase this travel mug by WORDS BRAND to remind yourself everyday. 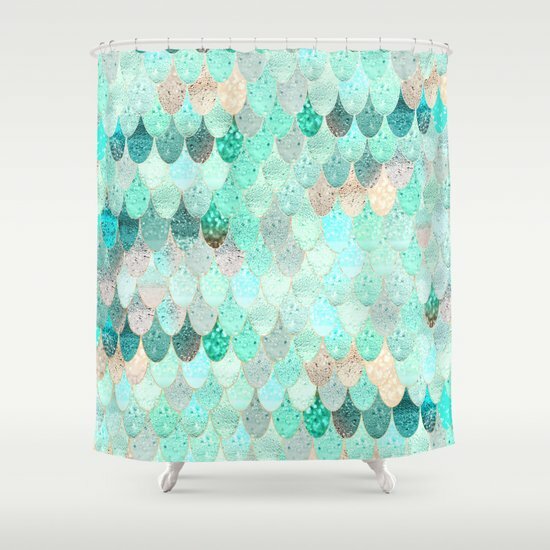 Want to feel like a pretty, sparkly merperson (hey, everyone deserves a chance to feel sparkly and special) every time you step into a shower or bath? Check out this fantastical shower curtain from Monika Strigel on Society6. It's a spangly, spanking good time. You can even get the pattern in a rug. As a new thing for the BIS blog, I'm starting Merch Mondays. I'll post links to fun things I've found around the world that are available for purchase. Occasionally, the products will be mine. This very snazzy shirt is one of the over print options. It's sleek, and the design is smooth enough to make this t-shirt fine for work. Yes, I have added a new design to my CafePress store, BIDesigns. I have already promised friends that I would wear it to DragonCon over Labor Day. I found the greeting card/postcard/notecard products. Mwaaahahahaha. Now available are cards with sayings like, "I get a mean sense of glee about the fact that she keeps trying and failing," and "That's not how it happened. I can't tell you how it happened." Go on and check it out. You know you want to. If you have any ideas or suggestions (for the store or the blog), you can email me at badinfluencespeaks@live.com. It's called BIDesigns and has all sorts of funny sayings and lovely pictures that I have taken. They all are available on T-Shirts, tote bags, magnets, buttons and more. Stop by and check it out.